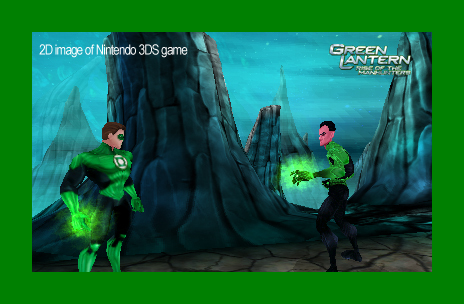 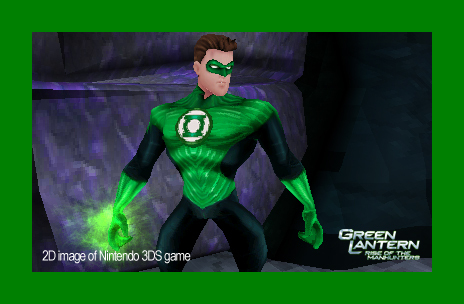 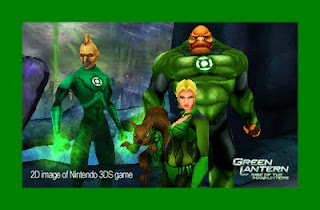 Green Lantern is coming - but not just to a theater near you, also to consoles, PS3, Xbox 360, Wii, DS, & 3DS. 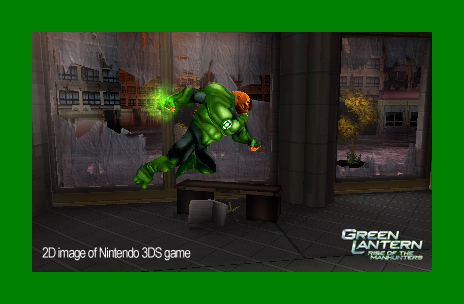 Here are some insider screens I got for the 3DS version. Sadly, since 99.999999% of you are *not* viewing this post on a 3DS itself, they are presented in stunning 2D and full color, for your viewing pleasure. 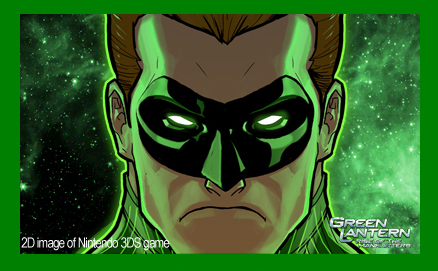 You can preorder "Green Lantern: Rise of the Manhunters" now , or buy it when it comes out on June 7.